The frontier science of Quantum Information Technology (QIT) consists of quantum communication, quantum computing and quantum precision measurement. In recent years, quantum information has become one of the commanding points in technology and industry. A number of developed countries and regions including the U.S., Japan and the European Union have successfully formulated development strategies for the new technology. Although China only entered the Quantum Information arena quite recently, it is already competing at an advanced level in many fields of application. Chinese physicists were one of the first to achieve entangled state quantum and teleportation with a secure communication distance of over 100 km. They also created the world's first large-scale quantum communication network. Chinese scientists have gradually become world leaders in Quantum Information research, particularly in metropolitan applications of QIT and the use of quantum distribution technology for communicating sensitive information – these methods have been transplanted from the laboratory to industry application. In urban areas, a quantum communication network using fiber-optic links has been put into practical application. China's QIT is a leader in the field. Scientists have found that in the microworld an "entanglement" can be created via a quantum channel whereby the quantum state of an atom can be shared between two locations. No matter how large the distance between the two, if the state of A changes, the state of B will alter correspondingly. Quantum communication is a new mode of sending information that utilizes the quantum entanglement process. Quantum communication has the benefits of high efficiency and absolute security. Should information be hijacked while being transmitted, both sender and receiver know immediately. Since the hacker cannot obtain all the information, absolute security can be ensured. Therefore, quantum communication is highly applicable in areas of security, such as national defense and protecting financial information. The year 2016 was a milestone in the industrial development of China's quantum information. The country drew up initial plans for an industrial chain, from the production of core components, equipment manufacturing, transport network construction, to network operations and applications. It could be said that 2016 was China's first year of industrialization in quantum communication. On August 16, 2016, the world's first quantum experiment satellite, Micius, was successfully launched, making China the first country to achieve quantum communication between a satellite and the earth. The 260-km-long Shanghai-Hangzhou Link – the world's first commercial quantum communication line – was opened for the use of government offices and local banks, on October 18. 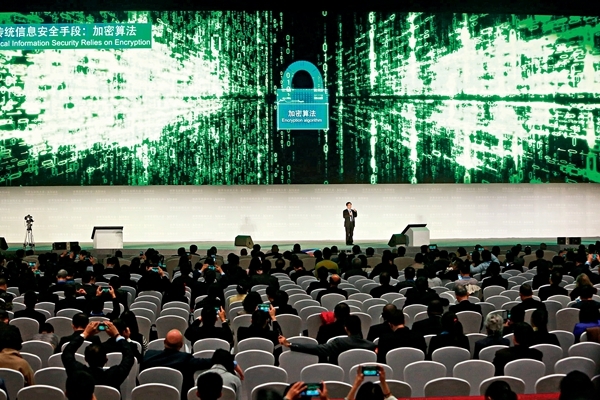 The Beijing-Shanghai Link was later connected to transfer important information, and some state-owned commercial banks have already used it to deliver backup. These projects mark the marketization of quantum technology, showcasing China's quantum application. The frontier science of Quantum Information Technology (QIT) consists of quantum communication, quantum computing and quantum precision measurement.